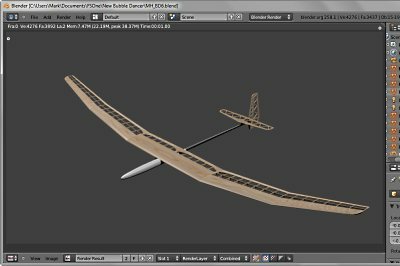 I have been in contact with Dr. Selig about creating a 3D version of the Bubble Dancer for inclusion in FS One, since an RES glider of any sort is missing from the roster of aircraft in the sim. I use Blender 3D for my modelling projects and I will post information here as I begin to model the Bubble Dancer. Taking the "build what you fly" idea to the extreme. 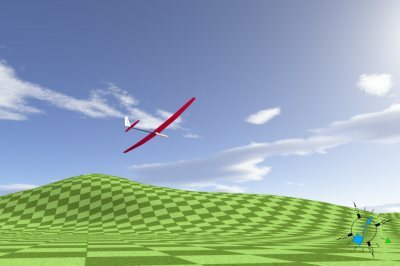 Before I discovered FS One I was actually writing my own RC Soaring Simulator! 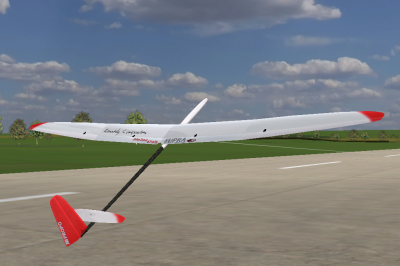 I was doing this because I like to program and there were certain soaring-related features that I felt were missing from the commercial sim offerings in the market. 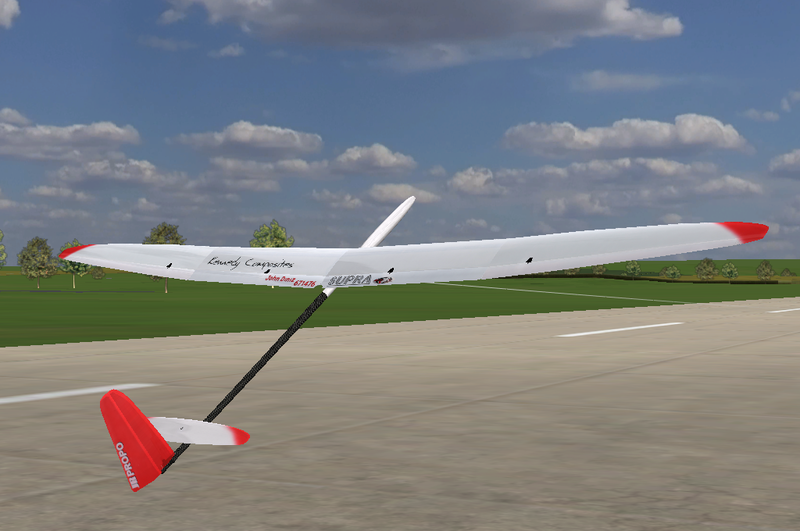 This is an actual in-flight screenshot of the Supra I modeled for this sim. 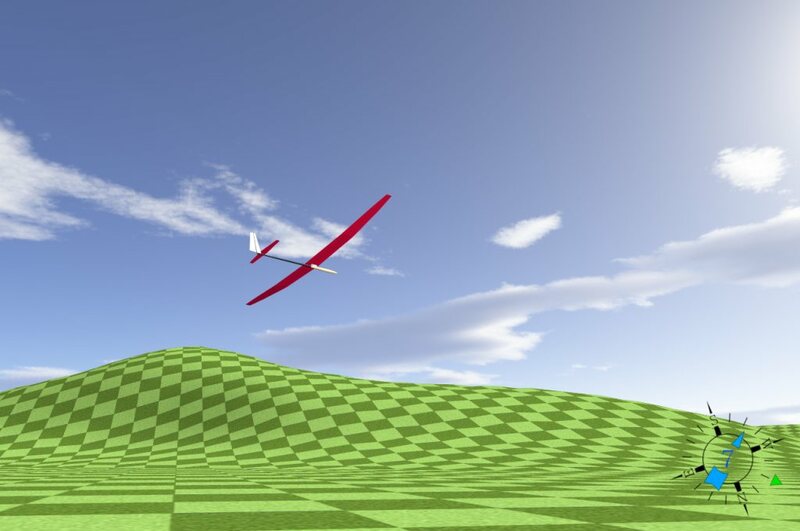 The checkerboard ground was just to help me while working on the terrain creation features of the sim. -- Did I mention I like to "scratch build?" 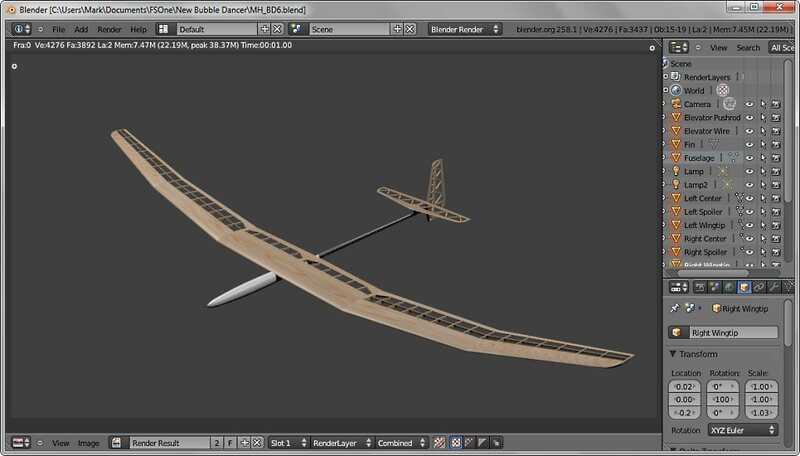 The Bubble Dancer model takes shape inside of Blender 3D. I decided to model all of the ribs so that when "covered" with transparent covering you would be able to see the ribs as you would expect. Having recent knowledge of building the real thing made it a snap to get all the peices in the right place!